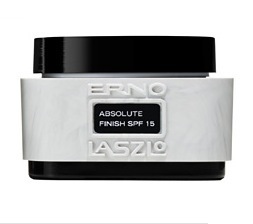 The lineage of Laszlo-beauty continues....where next-generation technology is crafted into a new kind of mousse foundation. *The modern mouse: exquisitely designed without water to float osver skin, feels wonderfully weightless..yet creates a smooth matte finish that redefines the word luxury. *A complex network of high-powered antioxidant Vitamins A,C,and E, intervene against the free radicals that trigger aging signs.